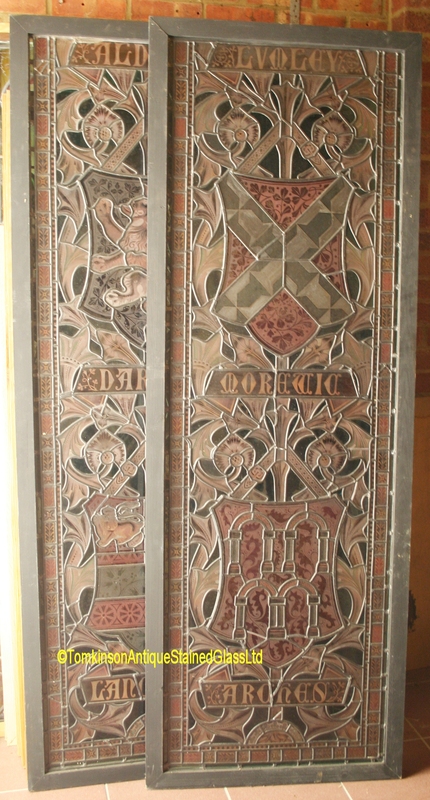 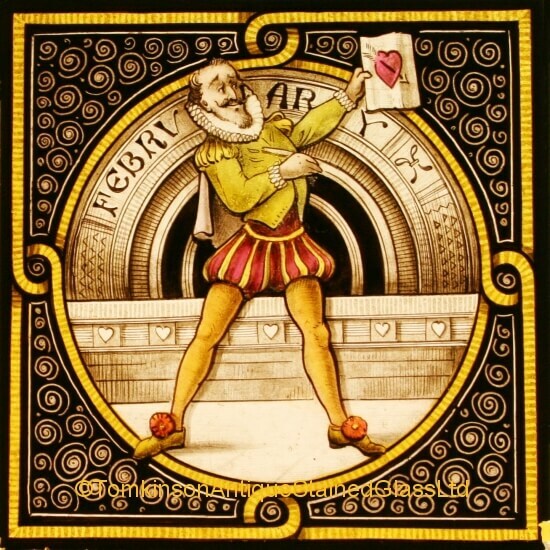 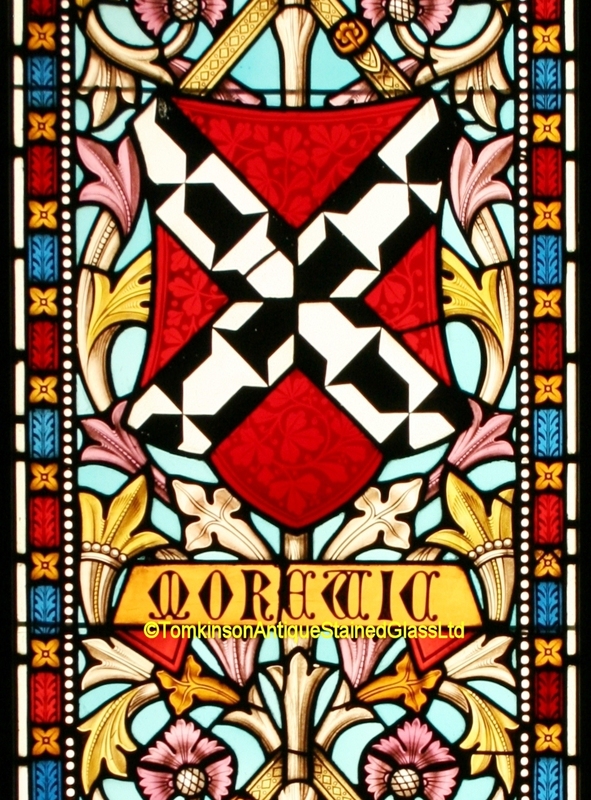 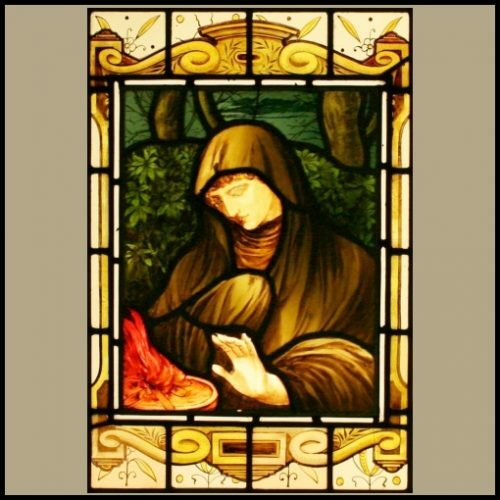 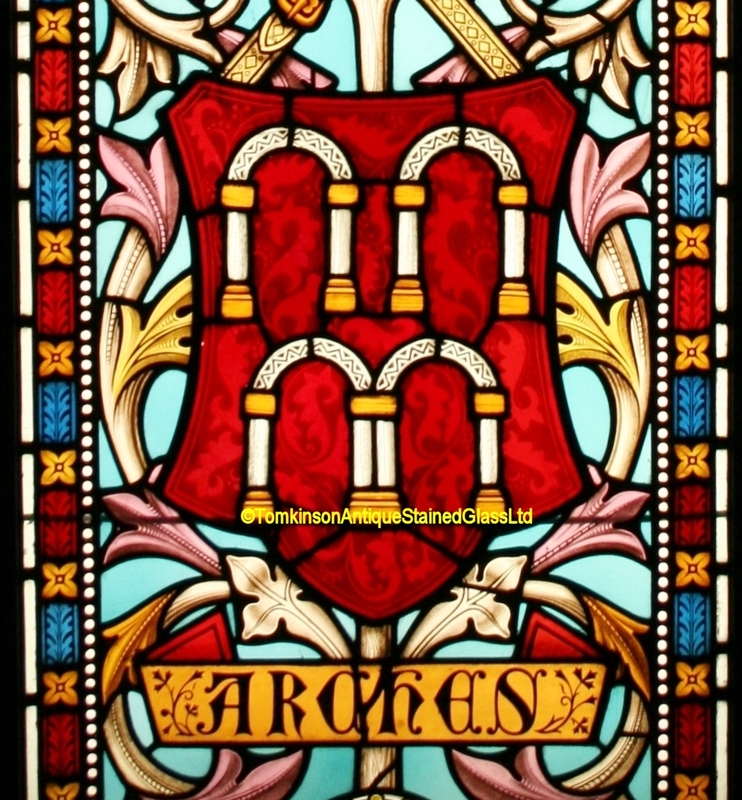 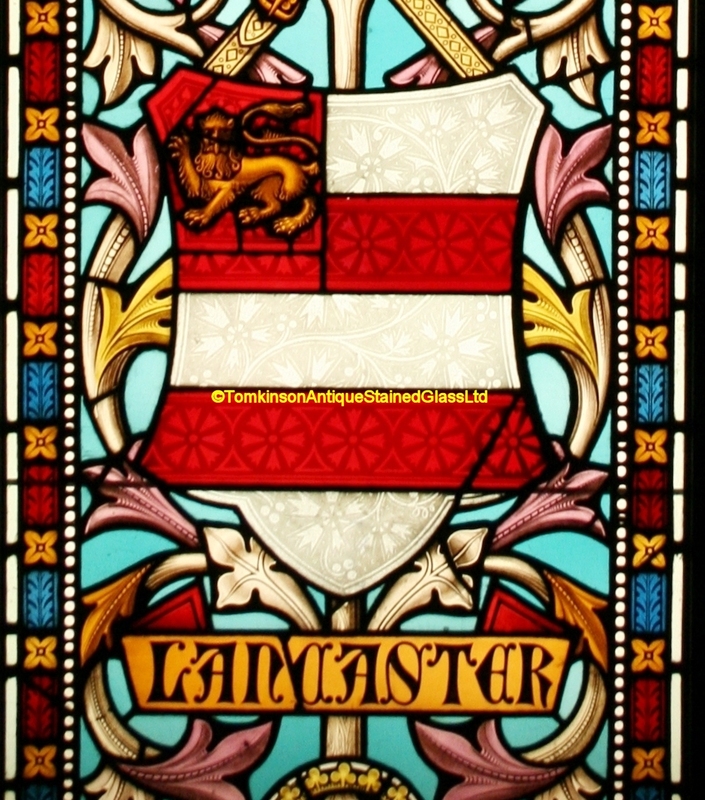 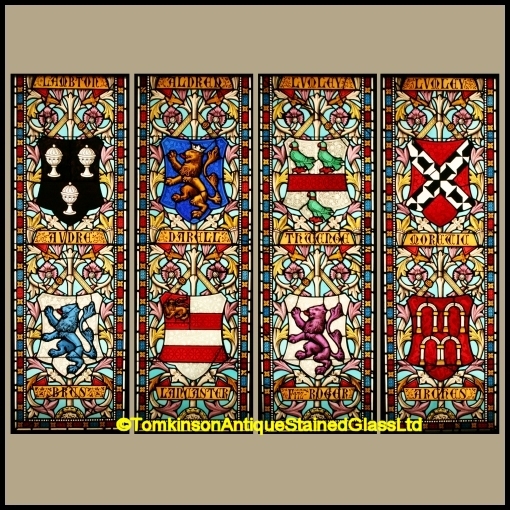 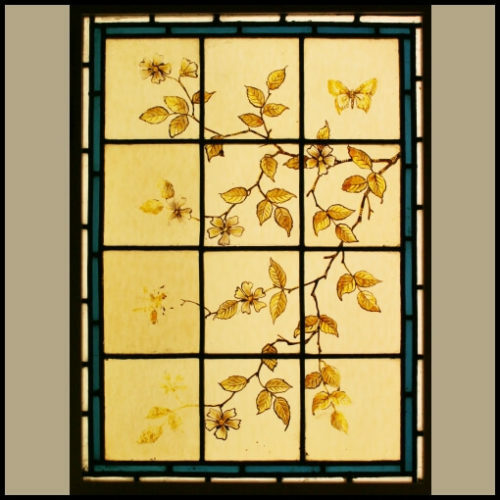 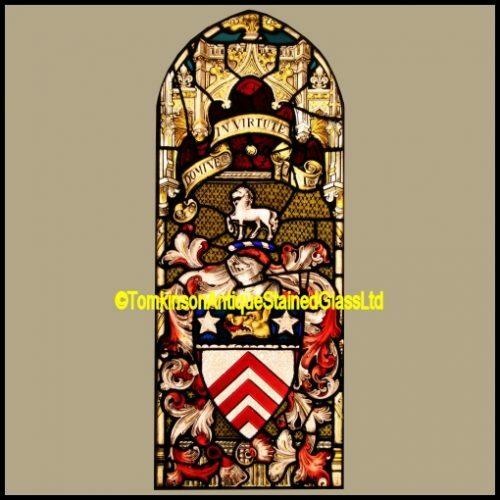 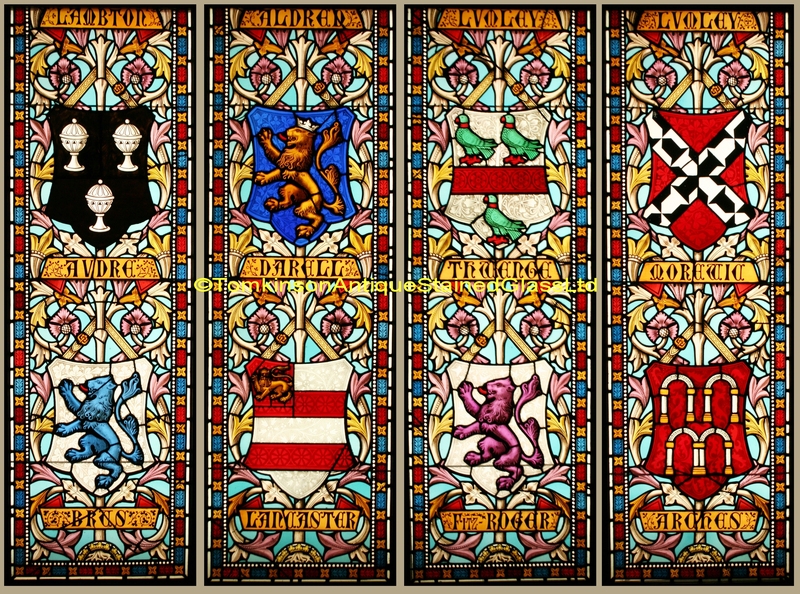 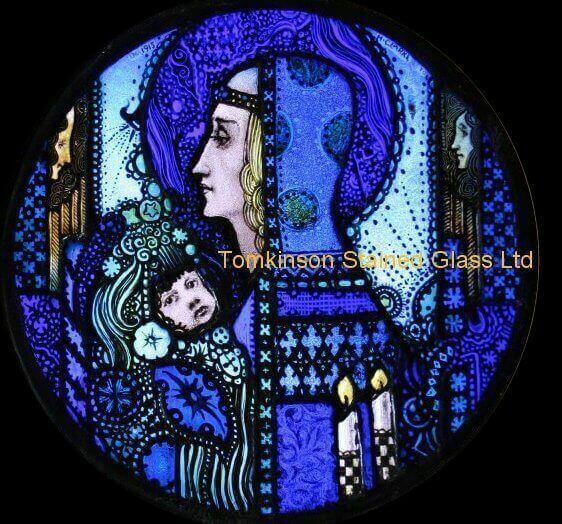 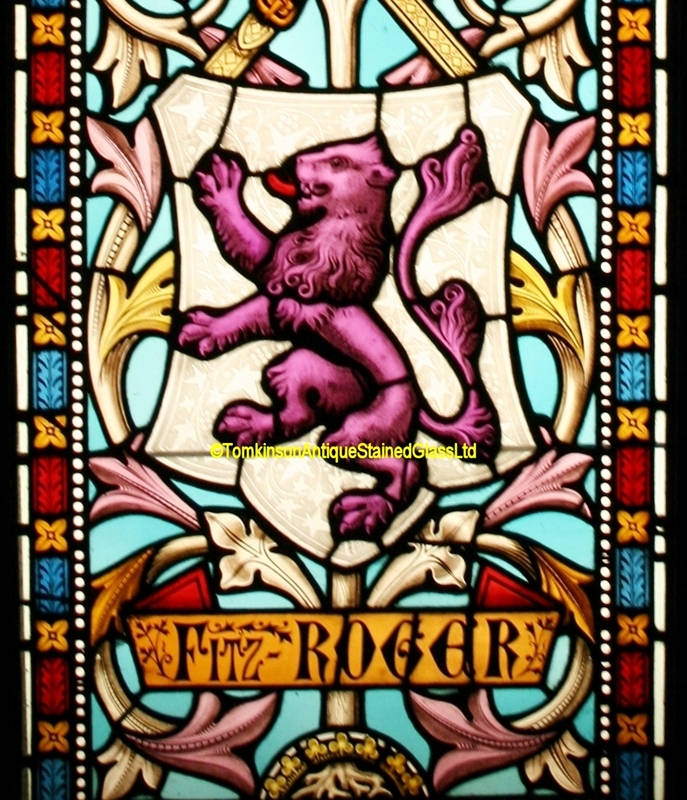 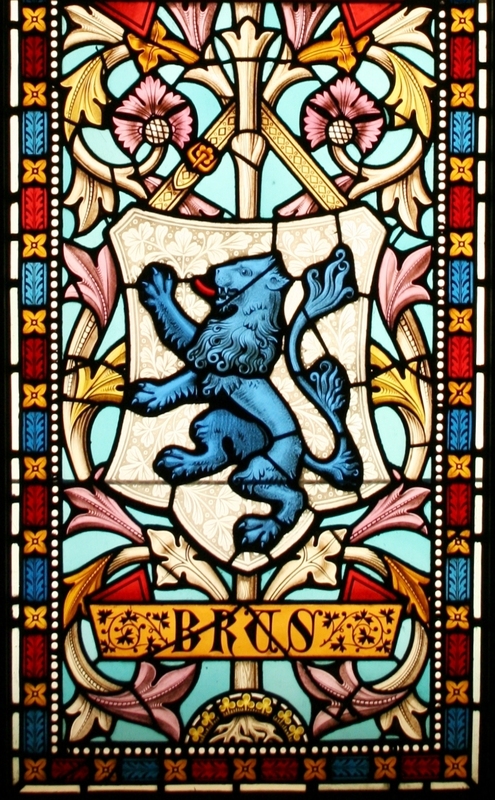 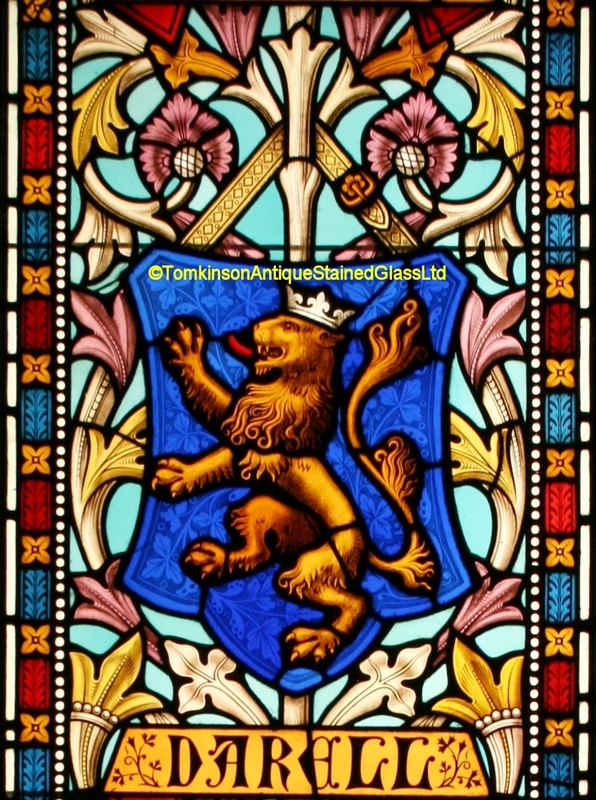 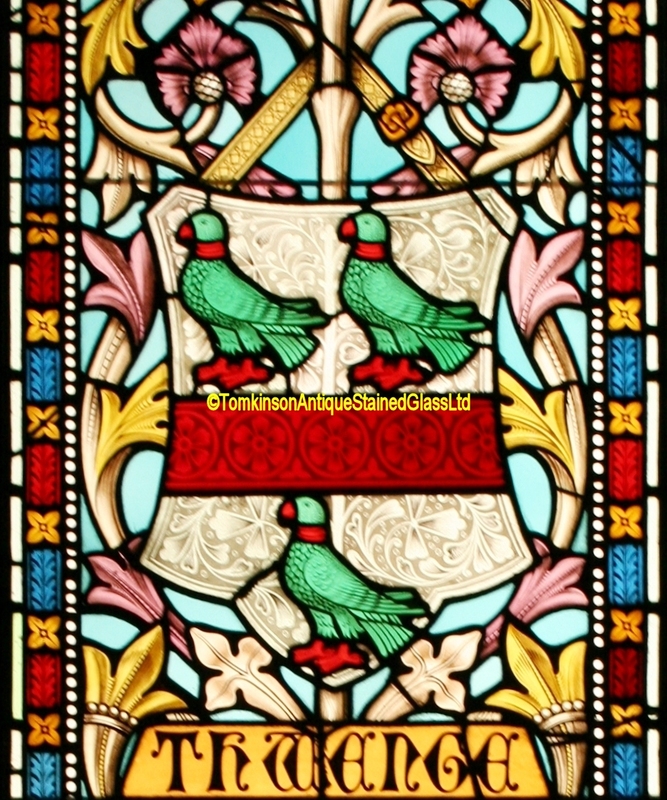 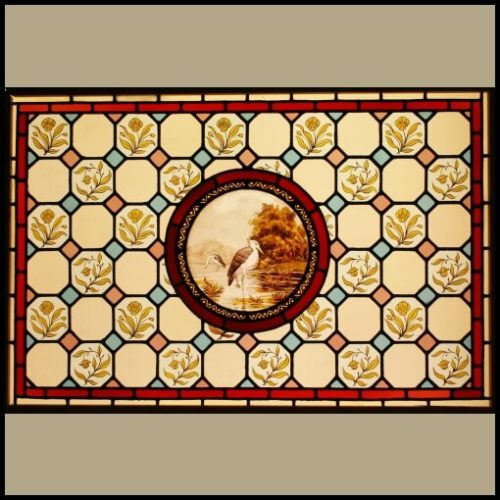 4 large antique Victorian stained glass windows, each leaded with hand painted glass depicting Coats of Arms, 2 each window. 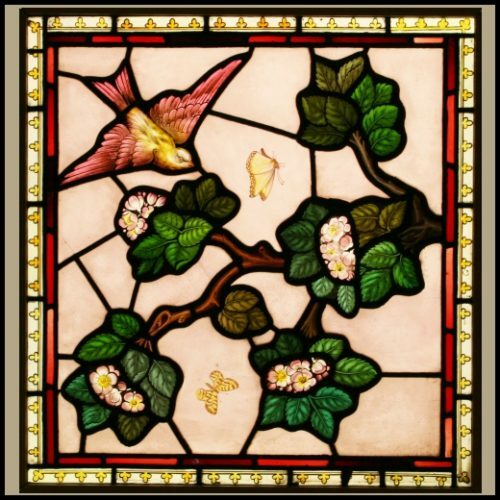 The background is of swirling branches of stylised Acanthus leaves and flowers with various decorative hand painted borders. 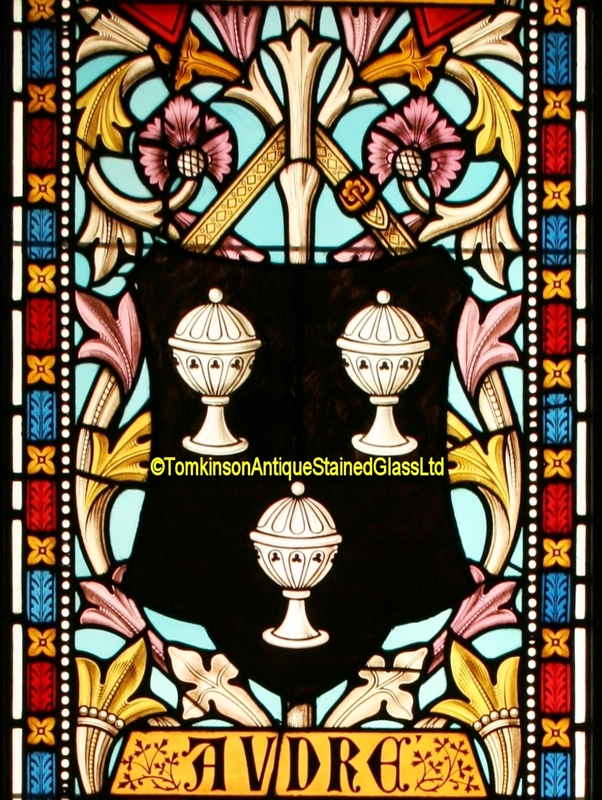 Super quality with all in excellent original condition and ideal for french doors.